PUMA and Istanbul-based luxury streetwear label Les Benjamins are partnering up to launch their first-ever collab collection on April 6, inspired by its founder Bunyamin Aydin’s passion for photography and travel. The collection’s journey of discovery is aptly told through the eyes of 13th Witness, a photographer from Brooklyn, New York who unexpectedly discovered his Turkish roots from a DNA test and, through his travel from Brooklyn to Istanbul, created a series of striking images and video compositions. 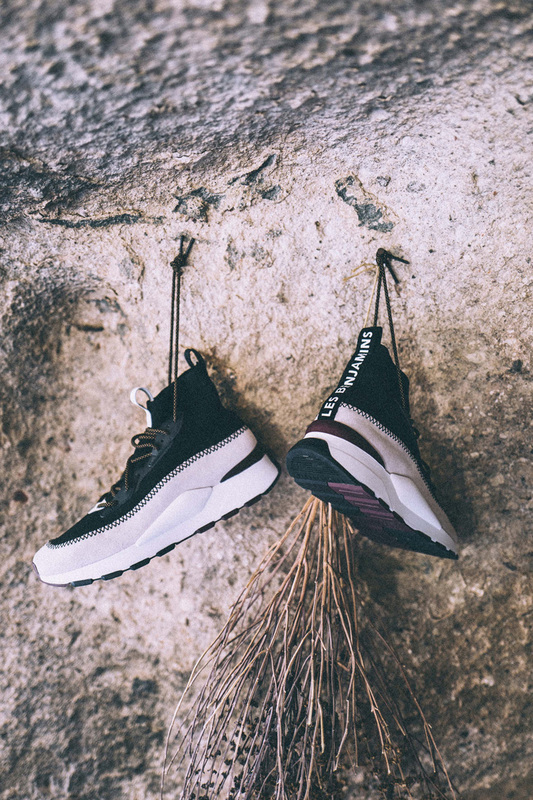 For this collection PUMA silhouettes such as the RS-0 and Trailfox are reimagined with a hand-crafted, artisanal feel, using the rich colours and detailing of traditional Turkish carpets. The RS-0 Les Benjamins is built with a bold chunky sole featuring PUMA’s comfortable RS (Running System) cushioning technology on the midsole, a mixed material upper of Suede and a knitted sock construction with cross-stitch details. The range of apparel features functional storage solutions and bold prints – the PUMA x LB tracksuit in light woven premium fabric is styled with mesh inserts through the back and pocket solutions on the front. The stylish parka, windbreaker and tee along with performance inspired accessories like bum bag and cap complete the capsule collection.